(Morning Star News) – In further anti-Christian hostilities in eastern Uganda, Muslims knocked a pastor unconscious at a debate and Islamist threats in another village put a halt to worship services. Threats by Muslims in Mazuba village, Namutumba District, stopped worship services in a half-constructed church building and led the pastor to send his children to another town, he said. The 55-year-old pastor had resettled his family in Mazuba five years ago after fleeing persecution by Muslims in Sironko village, 70 kilometers (43 miles) away. In April, Muslims in Mazuba noticed that some Muslims had become Christians and were attending his church, and Muslim schoolchildren learned from Christian children that the pastor had left Islam to become a Christian. Word that he was a convert from Islam spread quickly, and Muslim schoolchildren began bullying the pastor’s eight children, Pastor Budallah said. As area Muslims threatened to kill his children, the pastor and his wife felt compelled to send them to a boarding school in another town. At beginning of the year Pastor Budallah donated a part of his land for construction of a church building. After walls had been built, however, area Muslims learned that he was a convert from Islam and put a stop to construction, he said. Besides confronting the pastor – telling him to stop construction as well as discontinue worship services – they have sent him threatening messages, he said. Pastor Budallah also received threatening messages from his relatives back in Sironko, he said. 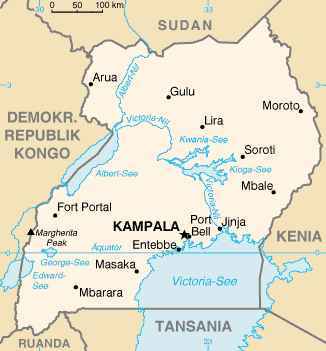 In Butaleja District, also in eastern Uganda, a pastor was knocked unconscious when irate Muslims threw rocks at him and other church leaders during a debate on Christianity and Islam in Kuwait village, sources said. A stone struck pastor Tom Palapande, 38, in the head during an open-air debate on June 21, part of a two-week evangelistic campaign. The first week featured only evangelistic events, and the second week included debates with area Muslims about Islamic and Christian scriptures, the Trinity and the Sonship of Jesus, among other topics. The first three debates took place without incident, but in the fourth debate about Jesus as the Son of God, a sheikh found himself ill-prepared and left in the middle of the event, sources said. Embarrassed Muslims in the crowd responded by throwing stones at Pastor Palapande and shouting the jihadist chant, “Allah akbar,” they said. “A big stone hit the pastor’s forehead, and the stones as well injured three other church leaders who were close to the pastor at the podium – Moses Balabye, Agrey Gibenya and Milton Magezi,” a church leader told Morning Star News. Pastor Palapande said that he regained consciousness in a Kuwait clinic and was later transferred to a hospital in Mbale. He appealed for the government of Uganda to protect him and to stop Muslims from assassinating his character. “The perpetrators of this heinous crime must be found and punished to the fullest extent of the law,” he said.